Discover Your Purpose, and Spend Your Life Doing What You Love! Are you ready to shed the fears and doubts that have held you back, and start living your life on YOUR terms? It’s happening in 2 days >>> Grab your seat while there’s still room! I recently was introduced to an amazing thought-leader Mary Morrissey, who is going to host a new webinar called The DreamBuilder, and I hope you plan to attend. 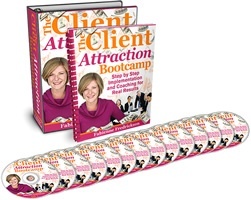 …then you NEED to click here and claim your spot in the webinar! I can’t wait to see you discover your purpose, ignite your passion, and start to create the life you LOVE to live! P.S. This webinar is free to attend, and you can watch it from the comfort of your home! Click here to discover how to shed your fears and live your true purpose! P.P.S. Mary Morrissey will reveal to you how to start living your purpose and bring your biggest dreams to life! So don’t miss it!